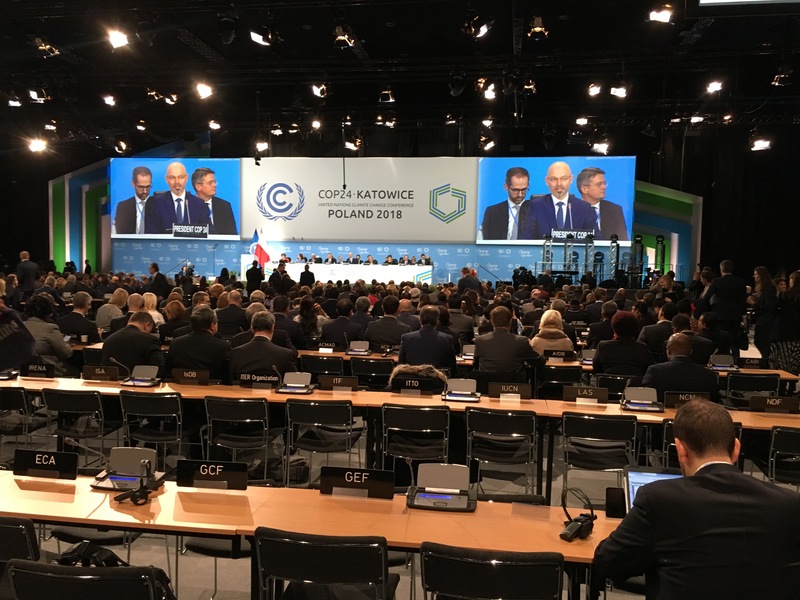 2 December, 2018IndustriALL Global Union's director of sustainability, Brian Kohler, reports from a trade union perspective on the climate change summit taking place in Katowice, Poland, from 2-14 December. 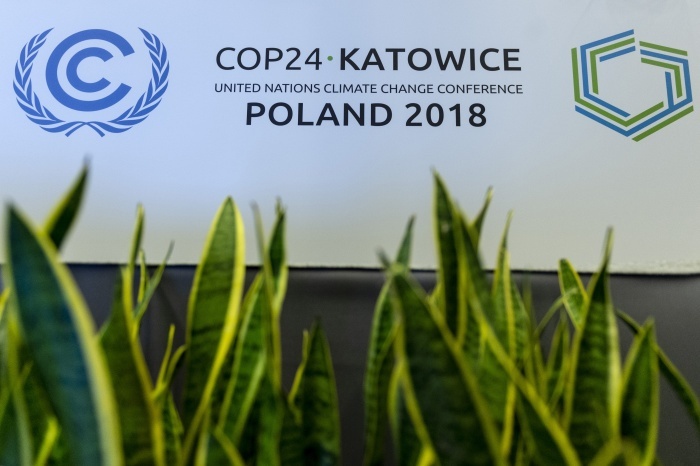 The 24th Conference of the Parties to the United Nations Framework Convention on Climate Change, generally referred to as COP24, has concluded: with organizers declaring a success and critics branding the results as a failure. This COP was supposed to create a clear rulebook for the implementation of the Paris Agreement of 2015; which up until now has been largely political and aspirational. For it to come into effect in reality, a number of rules had to be agreed on. The rules needed to cover a range of issues from accounting and verification of national contributions to the reduction of greenhouse gases, to finance, to technology transfer, to adaptation measures and disaster responses, and a host of other issues. What’s good about the Katowice Rulebook? The best part is, that it exists. There was a real possibility that it would not. There has been a decline in the global willingness to address climate change, since the 2015 Paris Agreement was reached. The issue of providing a Just Transition for affected workers, their families, and the communities that depend on them has also been mainstreamed at last. Many nations have signed up to the “Silesia Declaration on Solidarity and Just Transition”, crafted by the trade union movement and pushed forward by the Polish COP Presidency. The concept is now firmly a part of the common vocabulary of climate talks. That is a huge step forward. What’s not so good about the Katowice Rulebook? The worst part is, it simply is not ambitious enough. With the world’s leading climate scientists warning that we must take drastic measures within a window of about 12 years, the best that COP24 was able to muster was that it welcomed the publication of the latest scientific report. Note the wording: the conference did not welcome the contents of the report or its conclusions. Such differences in wording may seem trivial but have real political consequences. Unresolved problems also remain in terms of accounting for emissions reduction, and other areas. However, it can be hoped that with an agreed upon rulebook, there is at least a basis for action that can be strengthened later. We must network with each other and with decision-makers at the local, regional, national, and global levels. We must stand in solidarity with like-minded groups – particularly those focused on human rights for marginalized peoples. We must understand that the reluctance of many people to accept the urgency of climate change results from fear, not ignorance. The global economic order has not only jeopardized the planet environmentally, it has jeopardized it socially while delivering wealth to an ever-narrower slice of humanity. The so-called free market cannot deliver a sustainable future. Only public policies in the public interest can do that. Climate change will not be solved without addressing inequality, and will not be solved without sustainable industrial policies and Just Transition programmes. Technologies will play a part in controlling and adapting to climate change, but we must be sceptical of technologies that promise a cheap quick “fix” while seeming to violate known rules of physics and chemistry. The technologies that will save us are those that exist, now. Even if a new technology with near-magical power was invented today, the window of time to implement it is almost certainly too narrow. In short, our task going forward is simple: we must behave like trade unionists. Even with the Silesia Declaration, no government will grant us a Just Transition unless we demand it. The social dimension of sustainability is ours to defend. We must organize ourselves, and others, and fight for a future that we can believe in. Today I attended the Trade Union Strategy Day, which met off-site. It should be no surprise that the discussion focused on Just Transition: what it means to trade unions, and how to achieve it in practice. Trade unionists in attendance had a very good and very realistic understanding of Just Transition. This was not always the case in past years when I was still trying to get the idea mainstreamed within the labour movement. Nevertheless, there are problems with the way Just Transition is framed. Too often, trade unionists only say the words Just Transition apologetically, or defensively. We need to talk about Just Transition positively. A transition to a sustainable future is a positive message, that encompasses everything we believe in as trade unionists and challenges the usual narrative of the global casino-capitalist economy. We must define a positive future for today’s and tomorrow’s workers. No-one is going to fight for a bleak, or dismal future! A Just Transition has to sound good to our members; and if it does not sound good, then it isn’t truly Just. There is even a more existential reason to fight for a Just Transition. Right now, we are facing the world-wide growth of a neo-fascist political ideology, powered by a loud right-wing narrative that gets repeated over and over in the compliant media. This is being driven by a rarefied billionaire class that have figured out new tools to manipulate people. But I think part of the problem is that we have lacked a compelling narrative of our own, to counter theirs. What if a socially, economically, and environmentally sustainable future is that narrative? What if a Just Transition is the bridge that can get us there? Why should the benefits of new technologies go to a handful of billionaires and not to us? Why should the costs of these transformations go only to us? Sisters, brothers, comrades, and colleagues: On this day I would like to take the opportunity to ask you; do we still believe in bringing about a better world? Is a sustainable future, in which we all share the benefits, what the labour movement believes in? What if we still believed we could change the world? N.B. This is the last blog post until the conference closes on 14 December, when a summary will be made. There continues to be some resistance, or reluctance at least, on the part of some countries to accept the message of climate science and to understand how urgent the situation has become. The latest Intergovernmental Panel on Climate Change assessment is clear. Key points were reviewed again, today, that limiting global average warming to no more than 1.5 Celsius degrees above pre-industrial levels has clear benefits, is technically and economically achievable – but will require a massive effort both physically and technically, and above all, politically. Many parallel discussions took place in meeting rooms and in the corridors. To give a sampling of some of them, they included: the claims of advocates for biomass, or nuclear power, as a solution; finance; technology transfer; and the rules for accounting for emissions including time-frames and transparency. Not yet seeming to be taken fully seriously in the opinions of many are the issues of human rights: women, indigenous peoples, and the potential for increasing numbers of climate refugees. Talks continue: resolution of many of the outstanding issues still lies ahead. It is not unusual for the end of the first week of a COP to be filled with contradictory messages. This morning, I chaired the daily trade union caucus. Particular discussion was around the need to make clear that equity issues are a necessary component of a successful Just Transition programme; as are strong social protection programmes. There will be different challenges in building a Just Transition in different countries, depending on their national circumstances. In the afternoon I spoke at a side event on carbon capture. These are the technologies that would allow carbon dioxide to be captured at the point of emission and stored, sequestered, or used for other purposes. The usual acronym is CCS for Carbon Capture and Storage although sequestration or re-use are understood to be part of the picture, not only storage. CCS is a group of technologies that IndustriALL and its predecessors have placed considerable hope in, and lobbied for – as it would provide the smoothest possible transition for coal miners and energy workers by “greening” their existing work. Therefore, questions of skills gaps and regional displacement would be very minor and easy to deal with. Unfortunately, despite our pleas, insufficient investment has been made in actualizing these technologies. It is true that some pilot plants now operate, but to make a difference there would need to be an enormous global effort to build CCS-enabled power plants and industries – and we have only something like twelve years to do so. Nevertheless, the Intergovernmental Panel on Climate Change – the world’s climate scientists – include CCS in their scenarios for controlling global warming to safe levels. Their models rely on the successful implementation of CCS. We all need these technologies to work – and quickly, and that was the message I delivered on behalf of workers. As for the progress of the COP in general, negotiations continued without significant new breakthroughs to report. More science was presented at the Subsidiary Body on Scientific and Technical Advice (SBSTA). The evidence is both compelling, and terrifying. Allowing global average temperatures to rise more than 1.5 Celsius degrees above pre-industrial levels will have truly catastrophic effects. The most credible scientific models now estimate that the world has approximately 12 years left to make the necessary changes to prevent this. However, the Stocktaking on pre-2020 Implementation and Ambition showed that present commitments by governments are inadequate to maintain global warming at less that 2 Celsius degrees, never mind 1.5. The good news is that science tells us that the 1.5 degree target is both technically and economically possible. The question is whether it is politically possible, given the descent of several national governments into inward-looking nationalism and denial. COP24 has resumed some of the debates that are typical of all COPs. For example: discussions on the rules for accounting and reporting of national emissions; finance; and technology transfer. For a Katowice Rule Book to emerge, there must be agreements on all of these. A general mood of cautious optimism seems to persist, so far. The emerging open commitment to Just Transition is the big news, however. While most trade unionists have welcomed and celebrated this, there remains justifiable scepticism among a few, born of broken promises historically made by some governments to their national unions as economic changes ravaged particular sectors or regions. The failure to win a Just Transition in some regions in the past is not, however, an argument to give up. The demand for a Just Transition must instead become a cause to believe in, and fight for – an absolute prerequisite for change that we will not surrender. A transition is coming. Will it be just, or unjust? If a sufficient number of governments sign up to the Silesia Declaration, a commitment to Just Transition emerging from the Katowice COP will be an historic step forward, but even then, only the determination of trade unions and their allies will deliver and enforce it. 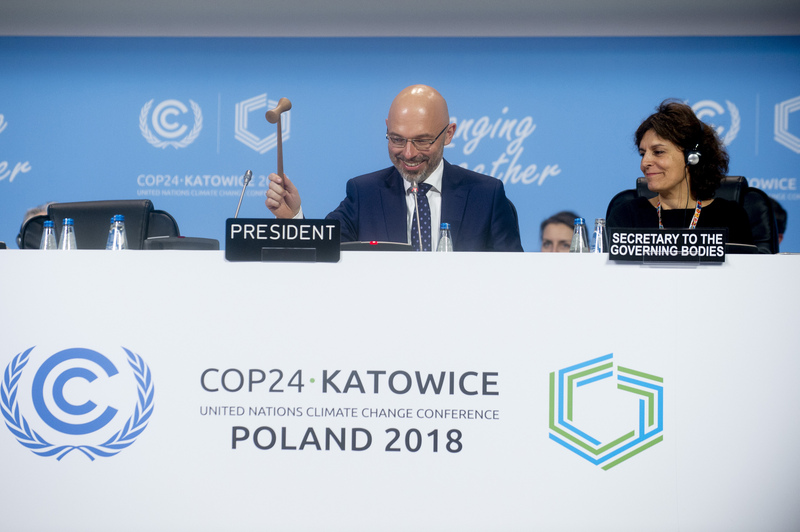 At the very opening of COP24, the COP President introduced the “Solidarity and Just Transition Silesia Declaration”. This was indeed an historic moment – the culmination of many years of effort to get the international community to recognize that the transformation to a climate-safe future must not be done on the backs of workers, their families, and the communities that depend upon them. As of late today, the list of Parties endorsing the Declaration included: Albania, Austria, Belgium, Bulgaria, Canada, Czech Republic, Denmark, Estonia, Eswatini, European Commission, Fiji, Finland, France, Gabon, Germany, Greece, Holy See, Honduras, Iceland, Indonesia, Japan, Korea, Latvia, Lithuania, Luxembourg, Macedonia, Madagascar, Montenegro, Namibia, Nauru, Nepal, Netherlands, New Zealand, Nigeria, Norway, Palestine, Peru, Poland, San Marino. Serbia, Slovak Republic, Slovenia, Spain, Sweden, Switzerland, Thailand, Togo, United Kingdom, and Uruguay. Our task for the next few days is clear: to get as many nations that have not already endorsed the Declaration, to do so. The Just Transition COP, indeed! At the formal opening of the COP today the outgoing COP President, Prime Minister Frank Bainimarama of Fiji told the assembly that the choice before us is stark: act, or become the generation that betrayed humanity – and called for the Conference to support the Polish theme of a Just Transition for all. Andrzej Duda, President of Poland, called for the creation of a Katowice Rule Book for the implementation of the 2015 Paris Agreement. To that end, Poland would present the “Silesia Declaration” on Solidarity and Just Transition. United Nations Secretary General António Guterres said, “We are in big trouble, climate change is outrunning us and we must catch up.” He then called for a fair transition for workers and communities, through a transformation that will have opportunities and not just costs. To underline his points, he promised to convene a Climate Summit in September of 2019 in New York (outside of the UNFCCC process). Kristalina Georgieva, CEO of the World Bank, signaled that under her leadership, she would ensure that funding for climate change mitigation, resilience, and adaptation would be doubled and that she would help mobilize additional funding from the private sector. Every World Bank decision would be examined using a “climate lens”, and a “shadow carbon price” would be used in its calculations. Finally, the President of the Conference of the Parties, Michał Kurtyka, called repeatedly for “a deep and Just Transition”. He asked that the Conference show the world vision, and hope. He presented the “Solidarity and Just Transition Silesia Declaration” and called on all governments to adopt the declaration. By adopting the Silesia declaration, countries are committing to take seriously the impact of climate change and climate policies on workers, their families and the communities that depend on them when they prepare and implement their climate commitments, adaptation plans, and industrial strategies. It also places workers and their unions at the decision-making table when these plans are made. Already, a number of governments have pledged their support. This is nothing short of historic. In 2015, unions successfully had Just Transition recognized in the Paris Agreement – but the Silesia Declaration makes Just Transition the centrepiece of its implementation rulebook. The objective of the Declaration is not just to have a Declaration, but to inspire action at the international, national, regional and local levels. This translates into demanding public policy in the public interest via sustainable industrial policies and strong social protections. Just Transition funds and programmes exist or are being created in countries from Spain to South Africa, from Canada to Australia. And the 24th Conference of the Parties to the United Nations Framework Convention on Climate Change (COP24) will now be known as the "Just Transition COP". It is extremely gratifying to see it become mainstream global policy. Let us hope that it was not too late in coming. 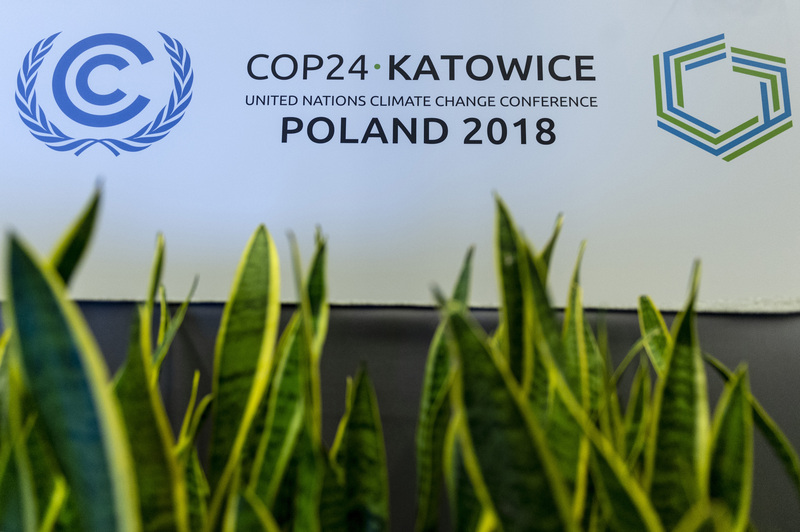 The first plenary meetings of the Conference of the Parties to the United Nations Framework Convention on Climate Change took place on 2 December, 2018, in Katowice, Poland. 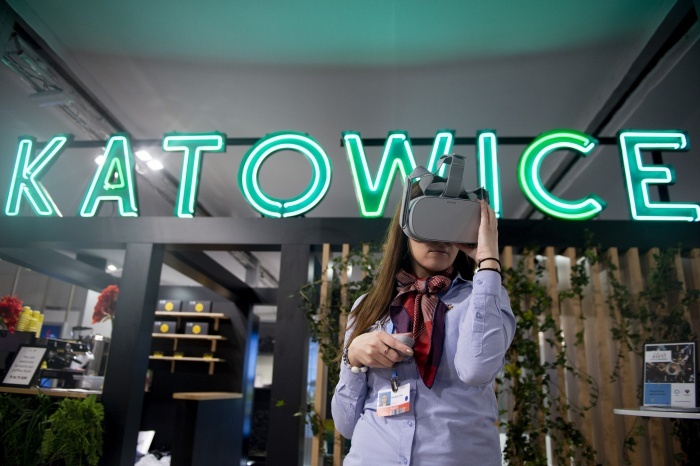 With the election of Mr. Michał Kurtyka, the Polish State Secretary, Ministry of Energy, as President COP 24, the annual discussions of how the world responds to the global climate change challenge, commenced. The choice of Katowice - a steel, coal, and industrial centre - as venue is a welcome signal by the Polish Presidency that the impacts of climate change measures on workers and communities must not be forgotten. The opening plenary was business-like and covered the necessary administrative decisions for the COP and its subsidiary bodies to commence their work. Missing from the opening plenary were any visionary statements of ambition or intent. Perhaps we will hear more of these in the formal opening ceremonies, on Monday. COP24 is tasked with mapping out the implementation of the Paris Agreement; and the matter of Just Transition is expected to play an important part in the COP24 discussions. This conference opens under the urgent warnings of recent scientific revelations that the trajectory of climate change is worse than previously estimated. The best science we have now estimates that we have only about 12 years left if the world intends to limit global average warming to less than 1.5 celsius degrees above pre-industrial levels. This, it should be noted, is a level of global warming that will still have many serious consequences, but it is a level that is considered to be manageable. The need to act is clear, and urgent. The good news is that making the necessary changes is both technologically and economically possible, if the nations of the world make it a priority. It is also socially possible: if and only if workers affected by these transformations are fully protected. IndustriALL and other global labour organizations cannot allow the social dimension of these changes to be ignored. With such an urgent timeline, the world needs all of its citizens to be on-board – and that can only happen if affected workers, their families, and the communities that depend on them are kept whole. That is the meaning of a Just Transition. We will be making that point strongly, and repeatedly, throughout this COP.